I wanted to share some positive experiences I’ve had with the Subtext app for iOS devices – I’ve used it with a 5th grade social studies and have co-led Subtext workshops with Caroline Haebig from Stevenson High School. In short, Subtext is a “social reading” app that allows you to import PDFs, websites and articles into eBook format (PDFs don’t convert into the pretty eBooks, but otherwise they maintain collaborative commenting functionality). As the teacher you can push out these digital texts to groups of students and learners can highlight, make comments and answer questions all within the same text. Collaboratively, it can’t be beat. 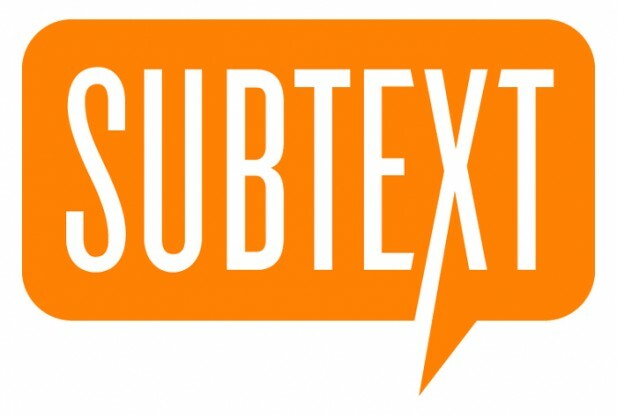 Subtext allows learners to engage with texts in new ways. Because Subtext is based on collaborative discussion and thought sharing, students are able to build deeper comprehension. Furthermore, learners have mechanisms to extend thoughtful conversations about a text beyond the walls of the classroom. Within a shared reading on Subtext learners provide their peers with meaningful feedback and are able to incorporate a variety of before, during and after reading strategies. From our experience, Subtext provides an authentic and ubiquitous medium for learners to collaborate on a digital reading. Learners were eager to communicate with their peers using the app, and they responded thoughtfully and thoroughly to other learners’ thoughts, opinions and analyses within the readings. From a technical standpoint, the Subtext app performed smoothly and the learners found the different features quite intuitive and easy to use. It’s a fantastic app for building comprehension and allowing further opportunities for meaningful literary discussions at school and at home. Bottom line: I’ve yet to find an easier way to pull content from the web and deliver it to students to collaboratively read and annotate. If you’d like to access our Subtext iBook for the iPad (or in iBooks on the Max if you’re using Mavericks) – which includes more information and tutorials – you can do so by clicking here. Thanks for this overview of Subtext. I tried Subtext back in the spring and had a few issues with it – especially with Edmodo integration – but the idea of collaborating deeply with text is one I am very interested in. At the end of your post, you said “I’ve yet to find an easier way to pull content from the web and deliver it to students.” I would love you to take a critical look at NowComment. It is another collaborative text tool, but I am more impressed with it each time I use it. You can create a document for collaboration using web-based text by simply copying and pasting the data into their document window. NowComment also allows you to select a word, sentence or paragraph and begin a ‘conversation’ that gets published to students. The most impressive feature, to me, is the ability to collect comments/feedback from students but not have them published to the class until a designated time. For quick assessments, this avoids the first student responding with an answer to a question and other students simply mimicking their answer. It is really quite a tool. If you give it a try, I hope you might create a compare/contrast post for us. Thanks again! Ah, but if that bull jumps the fence, that would be a lot easier. So, it seems to me that you need to have a stern discussion with Molly about the risks of flirting before you’re old enough to follow through on the fli#nitg.I&r8217;m assuming that some farmers breed their cows earlier? I know dogs are old enough to breed at 6 mos (I think), but it is better for them to skip their first cycle.